DevOps: Is It Worth the Hype? DevOps is here to stay, writes Tina Sturgis in her blog at BMC, and, it would seem, most developers in the industry agree. A recent survey by InteropITX found that 80% of development organizations are considering adoption of DevOps methodologies, tools, and practices in the near future. Organizations like Amazon and Netflix, heavily embedded in the time and cost-sensitive consumer SaaS marketplace, have achieved significant improvements in scalability and quality by aligning their organizations with DevOps methodologies. 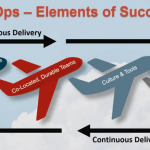 Still, there is some confusion about the benefits of DevOps, especially to other segments of the software industry such as aerospace, defense, and embedded technologies. One can’t help but wonder: if DevOps is all it’s cracked up to be, why did it not go mainstream sooner? The answer is a complicated one and requires looking beyond the traditional ways in which development methodologies are deemed to provide value. When viewed holistically, DevOps offers significant benefits to a wide range of software domains and applications, but not for the most commonly cited reasons. While DevOps encompasses a wide range of methodological and technological changes in the software development process, cost-benefit analyses have most frequently focused on continuous delivery and its corresponding effect on time-to-market. Put simply, continuous delivery, in which developers create, test, and deploy small changes to the software baseline on an ongoing basis instead of fixed release cycles, gets features into the hands of users much faster than waterfall or even agile development strategies. In fact, companies can achieve significant improvement in time-to-market by adopting DevOps. One frequently cited study by Capgemini showed a 25% speed increase in software deliveries to customers and end-users. 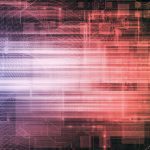 The paradigm shift brought about by continuous delivery can also translate into significant cost-savings, especially when the total cost of software development is considered. That’s because the automation strategies that support DevOps deliver substantial improvements in out-of-cycle development costs. A whole host of metrics such as defect reduction, decreased change failure, improved patch delivery time, and reduced downtime can be linked directly to improved quality practices in DevOps. Comprehensive test and deployment automation offers measurable improvements in productivity and reliability that will be realized by most development organizations, regardless of their release paradigm. One study showed that DevOps automation led to 21% less time spent on unplanned work and rework, and 44% more time on development of new features when compared to traditional methodologies. Hewlett-Packard achieved even more significant gains when it adopted DevOps in the development and deployment of its printer drivers and supporting software, increasing the time spent on new features by more than 800%. Ultimately, organizations looking to adopt DevOps need to consider the total value that the methodology provides, and not just the short-term gains often cited by its advocates. Even in industries where speed or frequency of deployment are not driving factors, DevOps can still offer considerable improvement in the developer productivity, software quality, and total lifecycle costs. For these reasons, we should continue to see DevOps adoption across all segments of the software industry. Let’s discuss your safety critical project and how our software development team can support you. Contact Performance Software’s team today so we can begin developing solutions together.